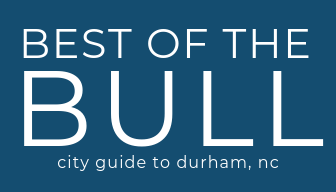 Check out these new local businesses that joined Shop Durham last month! Your Shop Durham card purchase all helps support multiple local nonprofits including Church World Service, Scrap Exchange, Duke Homestead, and more! Makus Empanadas, is a Durham based restaurant that focuses on bringing freshly baked Argentinian style empanadas to the Triangle area of North Carolina. They first started in 2014 as a catering business. In December 2015, they opened their first restaurant in Durham. A second location was opened at Morgan Street Food Hall in Raleigh in August 2018. Makus Empanadas can also be found at Durham Bulls Athletic Park, PNC Arena, Kenan Stadium and Duke Farmers Market. Shop Durham Offer: 10% off any purchase. Valid for dine-in or takeout. The Emerald Medicine Company’s goal is to provide top quality, lab tested hemp and hemp extracted products from vetted companies and to help fully educate everyone and anyone on the potential benefits that hemp extracts could provide for them. They carry a wide range of products from hemp flower, CBD oil, CBD extracts, CBD capsules, CBD salves, CBD dog treats and more! Shop Durham Offer: 10% off a $30 purchase or more! Vape Local at the Durham Vape Shop and Lounge! Not your typical vape shop, offering e-cigarettes, eliquids, hardware and device accessories, coils, multiple pod replacements, tanks and glassware for all devices. Their shop also offers a wide variety of the top CBD, Hemp and Kratom products, as well as CBD Coffee, Snacks and Refreshments. Play video games on their projector screen or enjoy a game of pool as you vape. With roots firmly planted in North Carolina, Watts Grocery takes its name from the Watts-Hillandale neighborhood where Amy has fond childhood memories and the Watts St. Grocery, a favorite shop for candy and snacks in Trinity Park in her childhood. Featuring her favorite local foods by the forkful- many raised, caught, smoked, pickled, or cured within a two-hour radius- Amy weaves them into her cooking and the result is an updated, distinctive take on North Carolina cuisine.